Do you have the key marketing knowledge to be successful? From innovation to invoice – what’s your plan to monetize your invention? Inventors are passionate about their invention. Frequently they invest thousands of dollars into prototype development and obtain additional financial support from family members and friends. How do you plan to sell your invention? What is your strategy to find an angel investor? A plan is needed to realize your dream – to sell the invention. Here’s a simple 3 step approach to communicate more effectively. What problem does it solve, resolve, help, relieve? What is the benefit? How does this make my life easier? We appreciate that it’s a long process from innovation to invoice. The McCabe Marketing team is here to help you along the way from providing marketing research to determine the demand, building a presentation or elevator pitch, creating a simple video or blog, to providing business coaching. We have worked with a number of inventors. Areola Tattoo is a temporary, removable tattoo for women who have had a mastectomy and breast reconstruction. McCabe Marketing was involved in all aspects of bringing this invention to the marketplace. Researched the size of the marketplace and determined the number of women who had had breast restoration surgery in North America and Europe. Participated in meetings with a U.S. lawyer regarding patents, trademarking, and associated costs. Managed the focus groups with patients from the Toronto University Health Network’s Breast Restoration Program. Their feedback was invaluable in the process; a new style was suggested. Additional protytypes were created to meet the patients’ suggestions. Sourced a manufacturer. There were no companies in Canada that could manufacture this product. The challenge then became to find a reliable company in Canada which would manage production in the U.S. Launched a website with e-commerce. McCabe Marketing project managed the site from start to finish working with a graphic artist and web development company. We wrote of all “needs-based” copy for the website. The first sale occurred within the first week of the site launch – without any advertising or promotion! McCabe Marketing is an integral member of the Areola Tattoo team and is developing a distributor/reseller strategy, online marketing plan, and sales program to grow sales. Are you looking for a marketing company who has worked with successful inventors? If you would like to explore your options, please contact us for your free innovative consultation! Maureen was involved in every step - from researching the opportunity, managing the focus groups, working with manufacturing to project managing the website launch. I am delighted with her work! 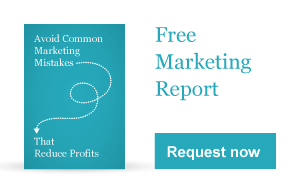 Learn how to avoid the 8 most common marketing mistakes made by business owners today. These valuable tips will help you save time and money. Phone number, Testimonials, Compelling content (needs and benefits-based messages.) It’s all about them, not you or the features of your products and services! Welcome video – Get staying power or “sticky eyeballs” with a well-done video.